There is a chrome browser extension called vysor. 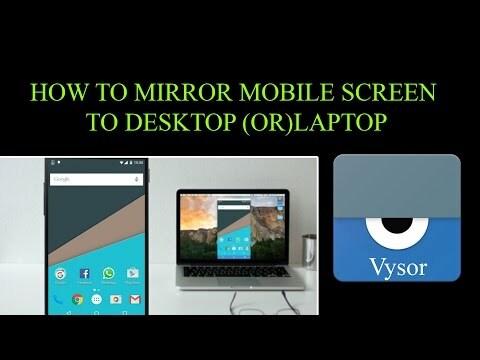 Install and enable that then open the extension in chrome and connect your phone to pic via usb and the vysor extension mirrors your phone screen on your pc and you can control everything with your mouse and see it on your of screen. Hi All! I HAVE A SOLUTION IF YOU HAVE BROKEN YOUR SCREEN AND IT IS FULLY SMASHED AS IN CANT SEE THE SCREEN. So... I dropped my phone and cracked the screen which left me without being able to use touch. I googled a solution which led to the OGT cable. WIth this i was able to use the phone as an ok camera and if enough time was available i could send a whatsapp using the mouse eventually. 4. Next disconnect the mouse from the OGT and connect a USB keyboard. each digit entered then press return and listen for the unlocking tone. AND YOU'RE IN!!!!!!!! My screen has shattered and though it is still visible the touchscreen doesn't work. I have managed to connect mouse to access the phone however I cannot backup using xperia companion as when I take out the USB mouse and connect it to the computer it prompts me to choose options in connecting with the computer I cannot select an option without a mouse connection. This 100% saved my sanity. I broke my Xperia four days ago, saw this forum, bought the USB OTG cord from Amazon, and just used it to control the screen again. I have work photos on there that could not be replicated and was freaking out!!!! I am so thankful right now!!!!!!! How about if the screen is blacked out totally? And unable to see what youre doing on screen? Any tips or tricks? I'm unable to see anything on screen of my z5 after having one corner lift after having screen replaced once before, the other has lifted from a drop, suspected digitiser fault. The charging port is also pretty dicky too which makes things more difficult. Is there any way to do this myself or would I need to get a tech to have a look or even repair it to do this? You need a mouse, an OTG lead and a charged battery. Plug the mouse into the lead and into the phone. Hold the power button and volue down together and keep it pressed. When the phone eventually boots up again the mouse will then work as a pointer allowing the screen to be operated... Worked that out eventually! But, my phone tells me USB devices blocked, when I try to use the mouse. And I have to transfer fer all the photos that I have taken in my life to somewhere else, so I am desperately looking for selution. i have the cables both of them i have a mouse as well but the screen is black what can i do?